First there was the Guns N Roses online slot, then came the feature-packed Jimi Hendrix slot. 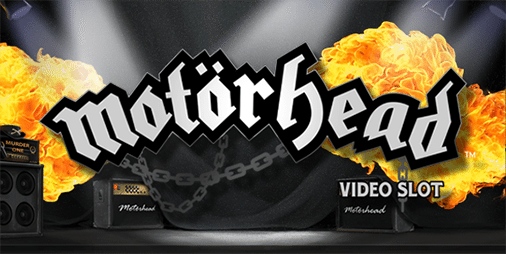 Now, Net Entertainment has completed a rocking treble with the September 2016 release of Motorhead. 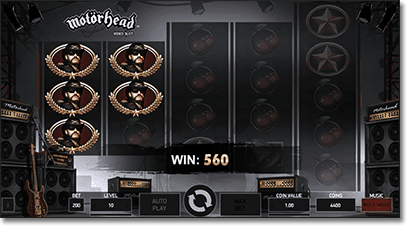 Find out all you need to know about this high octane, high stakes slot game here in our complete review, or visit any of the safe online casinos below to play Motorhead for real money on desktop or mobile right now. The first thing you will notice about the NetEnt Motorhead slot game is its one-of-a-kind reel layout. Rather than uniform rows where each column has the same number of active symbols, here we see a staggered pattern where the reels to the right of screen are larger than those on the left. The first and second reels share the standard three rows, the third and fourth reels have four each, while fifth houses some five live symbols per spin. That’s where the unique set of Motorhead paylines come into play. The unusual reel design creates shapes and combinations not found on most real money slots, which is why the game developers at Net Entertainment were able to cram in some 76 fixed bet lines – a vast upgrade on the standard 25 or 30 lines for a five-reel video slot. Like the other NetEnt Rocks slots, Motorhead features betting options to suit every kind of punter. Seven coin sizes and 10 preset bet levels make for a total of 70 cash bets to choose from, ranging from a $0.20 minimum to a huge $200 maximum. 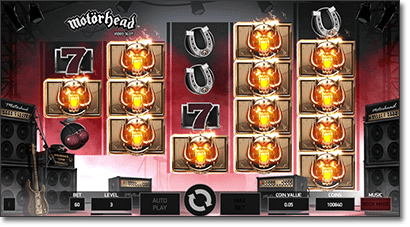 Each and every spin on the Motorhead online slot game features golden mystery symbols (the ones depicting the face of a horned demon-like creature). If any of these special tiles are in play at the end of a spin, they will all transform into the same random symbol. Should you land a stack of three mystery symbols, for instance, they may all transform into Lemmy symbols that can then match with any other Lemmys to create winning combos. Mystery Reels – Available in both the main game and the bonus round, this feature guarantees at least one reel packed with stacks of mystery symbols. It occurs on every spin in which the Bomber bonus is not triggered. Bomber – Named for the title track of the band’s 1979 studio album, the Bomber feature can occur at random before any spin in the base game only. A series of explosions causes at least 10 mystery overlay symbols to appear in random positions on the reels, where they remain fixed until the end of the spin. The Motorhead Ace of Spades wild can substitute for any other symbol to complete or extend a payline, with the sole exception of the scatter feature. Landing three or more scatters anywhere on the the third, fourth and fifth reels unlocks 10 free spins, during which wild stacks cover the non-mystery spaces on all Mystery Reels. 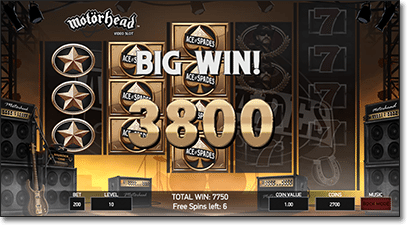 As with each one of the 2016 NetEnt Rocks slot releases, Motorhead has everything required to please fans of the band while offering the features, rewards and overall quality to satisfy the discerning gambler. The folks at Net Entertainment rarely falter when it comes to graphics and performance, and this is no exception, while the ability to switch the authentic Motorhead soundtrack on and off by simply hitting ‘Rock Mode’ is a nice touch – especially for players who enjoy long sessions at the reels and don’t want to hear the same handful of songs for hours on end. The layout is an interesting reimagining of those found in quirky diamond-reel video slots such as Reel Rush and Yggdrasil’s Draglings, but the real hero of the Motorhead slot game is the mystery symbol feature. This is especially the case in the free spins bonus, where multiple reels filled with mystery symbols and Ace of Spades wilds make it relatively easy to win upwards of 50 times your initial bet. Probably the only downside to the Motorhead slot is that neither the wild feature nor the scatter are paying symbols. This is fast becoming the norm in both internet slots and land-based slot machines, however, so it would be a little harsh of us to dock points from NetEnt for adhering to common practice. Online punters can play Motorhead for real money at any of the trusted online slot casinos featured in our casino table above, all of which offer safe banking options, certified SSL digital security systems and outstanding customer service 24/7. 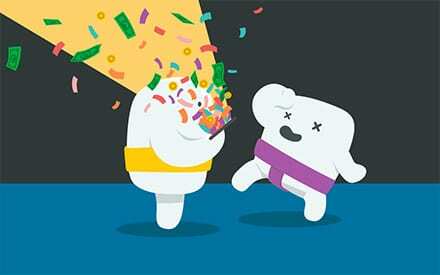 They also run some of the most generous welcome bonuses and slot promotions on the web. 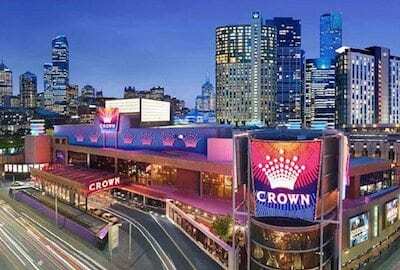 The casinos and banking options available to you will depend on the online gambling laws of your country, but our casino table has been geo-targeted to recognise your location and only recommend top-rated casino sites that accept players from your region.